It's hard to scare people when you're a nice guy. People just look at your face and think, "Hey, what a friendly looking guy!" That can be frustrating around Halloween time, when you want to put a scare into your friends and family. You know who never has a hard time frightening people? Michael Myers. Do you know you? It's because he wears a really creepy mask. This Adult Michael Myers Mask recreates the one he wears in the movies, so you can have the look of a pyschotic, unkillable murder-machine. HalloweenThe night HE came home!It seems for the residents of Haddonfield October 31st is one of the most unluckiest days ever. This is the day that Michael Myers comes out to play. He has terrorized the town year after year leaving behind bodies of teens while looking for his sister. Now you can look just like the silent killer when you pick up this Grand Heritage costume. If it's your turn to be Michael Myers you're going to need your signature weapon... 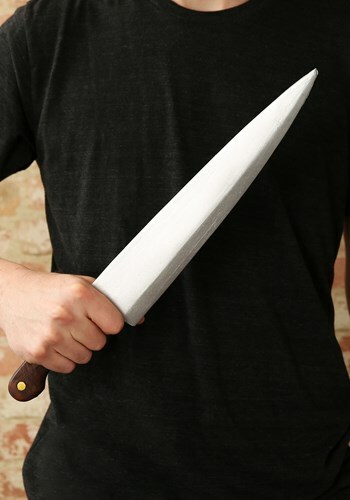 This officially licensed Halloween II Butcher Knife will be the perfect addition! It's soft foam construction will let folks know that you're in costume, and not about to go on a murderous rampage. He's a murderous machine and on this Halloween...he's out for more blood! 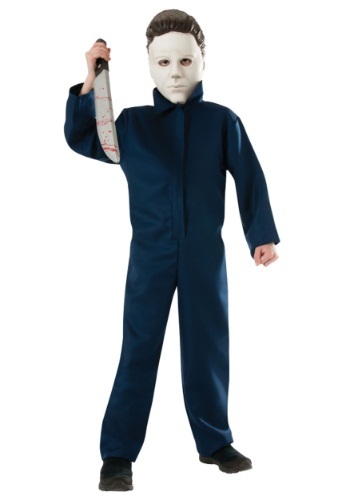 Now you can become one of the most frightening fictional slasher film character when you wear this Michael Myers Child Costume! 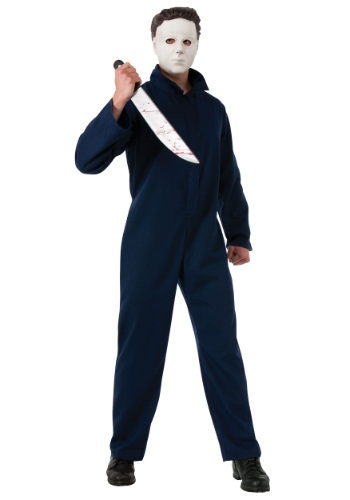 Your friends will be running from you when they see you in this horrifying costume! No matter how many times you think he's dead, he just keeps coming back. Shoot him six times and throw him off a building and he comes back. Blow him up inside a hospital and he comes back. 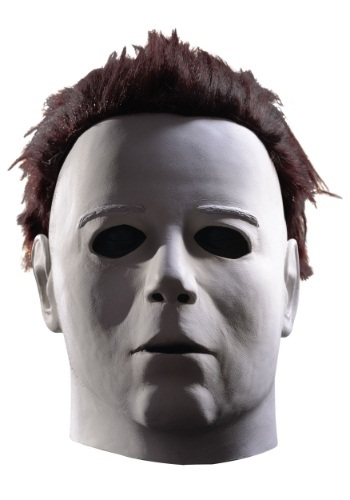 So, although no one will really be surprised that Michael Myers is back, you can bet all your friends will be terrified when they see you wearing this Halloween mask.